Officers responded to Interstate 405 near Exit 2A around 4:30 a.m. on Tuesday, Oct. 2. 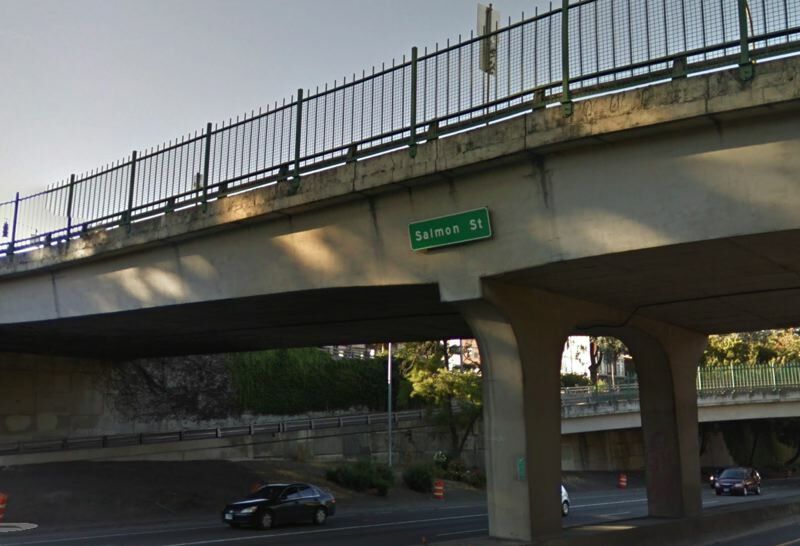 A woman is dead after she dropped off an overpass in downtown Portland, police say. Central Precinct officers responded to northbound Interstate 405 nears Exit 2A and the Southwest Salmon Street overpass around 4:24 a.m. on Tuesday, Oct. 2, according to a news release. Officers and medical personnel arrived and say the woman died at the scene. "Officers are speaking with witnesses and conducting an investigation to determine if the deceased fell or jumped from the viaduct," a police spokesperson wrote. Anyone with information is asked to call 503-823-3333. Those seeking help can call the Multnomah County Mental Health Call Center 24 hours a day at 503-988-4888. Cascadia Behavioral Healthcare has an urgent walk-in clinic open 7 a.m. to 10:30 p.m. every day of the week. Call 503-963-2575 for more information.